I Get Homesick Sometimes But It’s O.K. I Get Homesick Sometimes But It’s O.K. 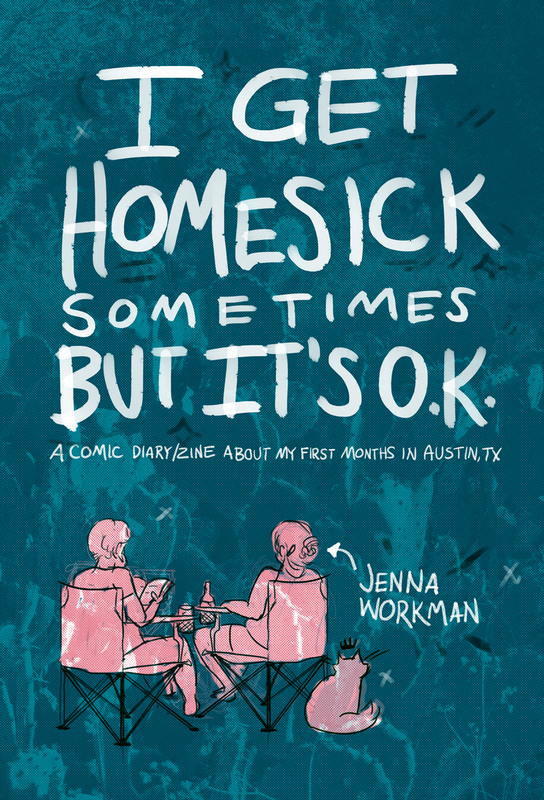 (IGHSBIO*) is a 44 page zine featuring never-before-seen daily diary comics, photos, and drawings by Jenna Workman after a move from the chilly Midwest to sunny Austin, TX. IGHSBIO is Jenna’s second self-published zine; and it debuts alongside Feline Feelings #1: a curation of her best cat drawings from 2010 – 2015. Find them both at half-table B8A.